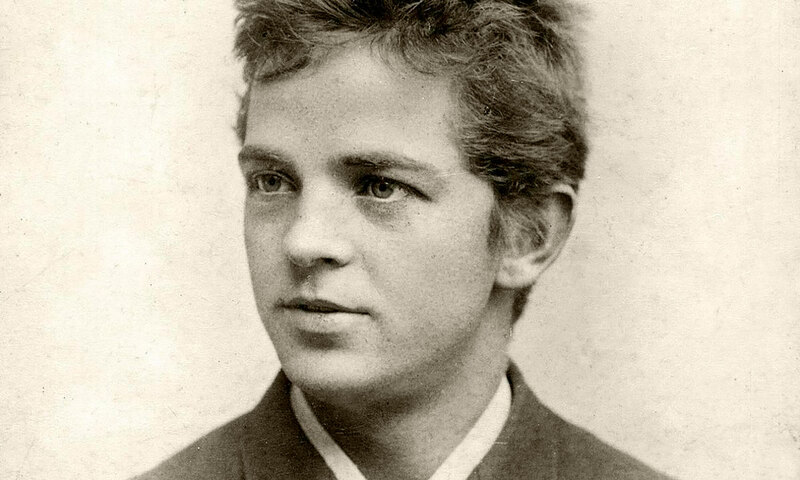 On Thursday 26 February 1891 Carl Nielsen arrived in Paris. During his first days there he concentrated on the visual arts, especially at the Louvre, together with Danish friends such as cellist Fritz Emil Bendix, brother of composer Victor Bendix. But he also had the opportunity to perform his Five Piano Pieces, opus 3, for the Scandinavian Association, where they were a success. He also took active part in the local Scandinavian social life, and on 2 March he notes in his diary: “last night a party at Bendix’s place, where I had a good time. Miss Brodersen is really quite pretty. Came home at 2 a.m.” Then things moved on fast: “Cannot remember what I have done today except that in the evening I found her, for whom I all this time have had a whole range of feelings, and we want to spend our whole life together and be happy and nothing can get me to doubt any more” (16 March). “Have not written in my diary for the last fortnight, as I have been intoxicated with happiness. Have seen a lot together with Marie and feel definitely richer in her company” (30 March). The two young people were too impatient to wait for the necessary documents to come from Denmark, and on 10 April they celebrated their wedding party without any papers together with their Danish friends, in a restaurant where Carl Nielsen and Anne Marie Brodersen had decorated the tables themselves. With these words Anne Marie Brodersen (1863-1945) begins her reminiscences of childhood. Her interest in animals and their anatomy was to last all her life. In 1882 her interest in drawing and sculpture brought her to Copenhagen, where she studied with sculptor August Saabye. She made her debut at the Charlottenborg spring exhibition in 1884. Later on she studied at the Academy’s School of Arts for Women, and in 1889 she won a bronze medal at the World Exhibition in Paris, where she participated with two animal sculptures. She finished her studies in 1890, and it was thanks to a scholarship from the Academy that she went to Paris for the second time and met Carl Nielsen. Actually she had already met the young composer briefly – she had attended the concert in Tivoli where his Suite for Strings opus 1 was performed for the first time. When they met, the painter and sculptor Jens Ferdinand Willumsen was posing for her. Willumsen was living in Paris at the time. He was to become a close friend of the Nielsens. Anne Marie and Carl left Paris for Italy, and on 10 May 1891 they were legally married in the English church at Florence. Most of their time in Italy was devoted to study of the visual arts, something which Carl did not resent; on the contrary, one of the paintings even inspired him to compose Hymnus Amoris. They ran out of money along the way, but fortunately they were helped out by a fellow-countryman. At the end of June they returned to Denmark, where they visited first Anne Marie’s parents at Thygesminde and then Carl’s parents in Nørre Lyndelse , shortly before the latter sold Nielsen’s childhood home and left for America. Returning to Copenhagen, Carl and Anne Marie, who was by then in an advanced stage of pregnancy, stayed in a hotel near Knippelsbro bridge until in October they acquired a permanent address in Copenhagen in the form of a little attic flat at Nyhavn 5. Space was scarce, but this is what they could afford. On 9 December 1891 the Nielsen family’s first child was born. She was christened Irmelin Johanne Carl-Nielsen after Irmelin Rose, the fourth song in a set of Five Texts by J. P. Jacobsen (opus 4) which Carl Nielsen was then in the process of composing. On 4 March 1893 Anne Marie gave birth to another daughter, who was christened Anne Marie Frederikke Carl-Nielsen, nicknamed Søs: “We did not receive this child with joy, since we had both intensely wanted a son,” Nielsen wrote in his diary! The son they had wanted so much was born at last on 5 September 1895 and christened Hans Børge Carl-Nielsen. In 1886 – one year after the poet’s death – J. P. Jacobsen’s posthumous collection of Poems and Draftscame out. Here freer verse replaced the old, traditional strophic forms in strict metre. Nielsen felt strongly attracted by the dawning symbolism of these poems, and in the first collection of songs to texts by Jacobsen that he wrote in 1891 (opus 4) he emphasized his respect for the texts by entitling the work Music to Five Poems by J. P. Jacobsen. Later on that year he continued with another five Jacobsen songs published as opus 6. Most of the songs in both collections are through-composed rather than strophic and the piano accompaniments are highly original. In the Ludvig Holstein Songs, opus 10, from 1894, most of the songs are now strophic. Sang bag ploven (Song Behind the Plough) especially points forward to the folk songs which were later to bring Nielsen a popularity few if any other “serious” Danish composers have enjoyed in their lifetime. Concurrently with the songs Nielsen composed chamber music: his first official chamber music opus is the String Quartet in G minor from 1888, which was published in revised form as opus 13 in 1900. This was followed in 1890 by the String Quartet in F minor (published in 1892 as opus 5), in which his command of form is far more advanced. The Quartet in F Minor was performed for the first time at a chamber music soirée by members of the Chapel Royal on 8 April 1892 and got a good reception. It was the first of Nielsen’s works to be distributed internationally.